How long does the Yellow Belt training take? A Yellow Belt is a, usually day-long, training session focusing on Lean Management and Six Sigma. The improvement method Lean Six Sigma has been developed by General Electric. They have created the following levels of knowledge: Yellow Belt, Green Belt and Black Belt. These terms have been inspired by the corresponding judo terms. When you finish this training session, you will be able to participate in Lean Six Sigma projects within your organization. 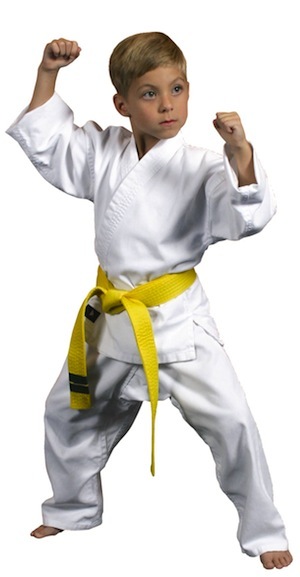 You can also choose to enroll in the Green Belt or Black Belt training sessions after achieving Yellow Belt level. The Yellow Belt training level is suited to anyone who would like to acquire basic knowledge about Lean and Six Sigma. Lean Six Sigma is one of the best-known methods to improve processes within any organization. It is a toolkit containing a great number of tools. During a Yellow Belt training session, the most common tools are explained. During many training sessions, you will also put these tools into practice. In this way, you will be able to see that Lean Six Sigma is more than just a beautiful story. On this site, we would like to provide you with all the necessary information about these training sessions; in addition, it is a knowledge base for everyone who is interested in using Lean Management, Six Sigma or a combination of both. Under the heading “organisations”, you will be able to read how particular organisations have put Yellow Belt into practice after participating in a training session. If you are interested and need more information about this basic training in Lean Six Sigma, please contact us using the heading “contact”. We will try to answer any questions you may have. What is a Yellow Belt? Yellowbelt.co.uk provides you with all the information about Lean Management and Six Sigma. Yellowbelt.co.uk is an initiative of Lean Six Sigma group.